I jumped ahead on my menu a bit to make this, but since my body is craving carbohydrates I thought I'd try a carb-substitute. 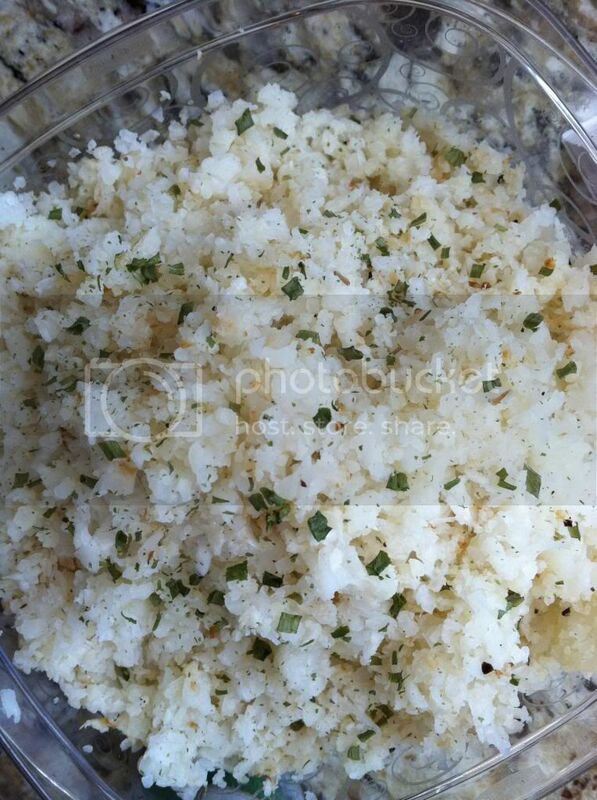 Rice - made from cauliflower! Now wait…before you skip over this recipe, give it a chance! It was delicious. A really good base for any protein dish. 1. Chop cauliflower into large chunks. 2. Shred using a cheese grater or food processor. this is the fun, messy part. use an oversized bowl to keep the mess to a minimum. 3. 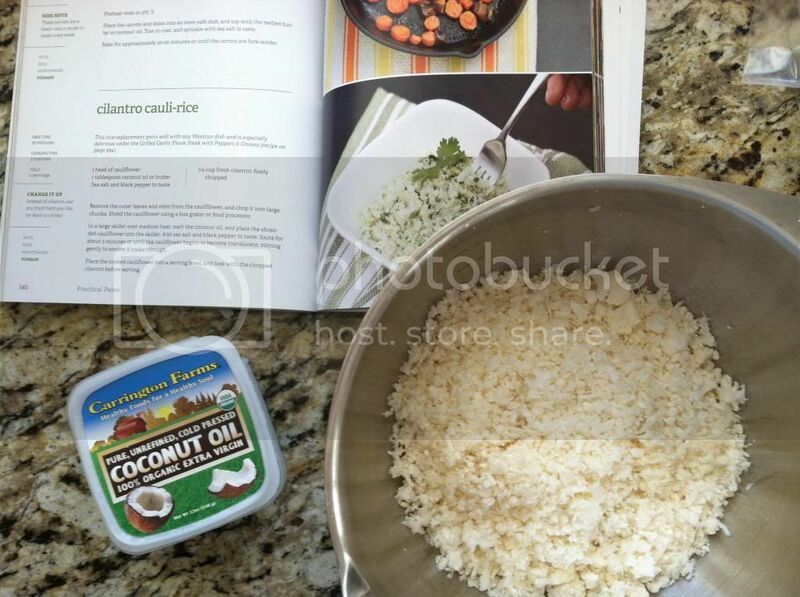 In a large skillet over medium heat, melt coconut oil and place shredded cauliflower in the skillet. 4. Add sea salt + pepper. 5. Saute for 8-10 minutes, stirring gently until the cauliflower begins to become translucent. I stirred, and stirred, but my cauliflower never became translucent. But after 10 minutes on the stove and a taste test I decided it was done. 6. Place cooked cauliflower into a serving bowl and toss with chopped cilantro before serving. I'm not a big cilantro fan so I used chives instead. In review: This was fun! easy! and a great, healthy alternative to rice. You could season it however you preferred…maybe basil would be great. I enjoyed mine topped with a leftover dijon-marinated chicken breast for lunch. Yum! 1. Preheat oven to low broil setting. 2. 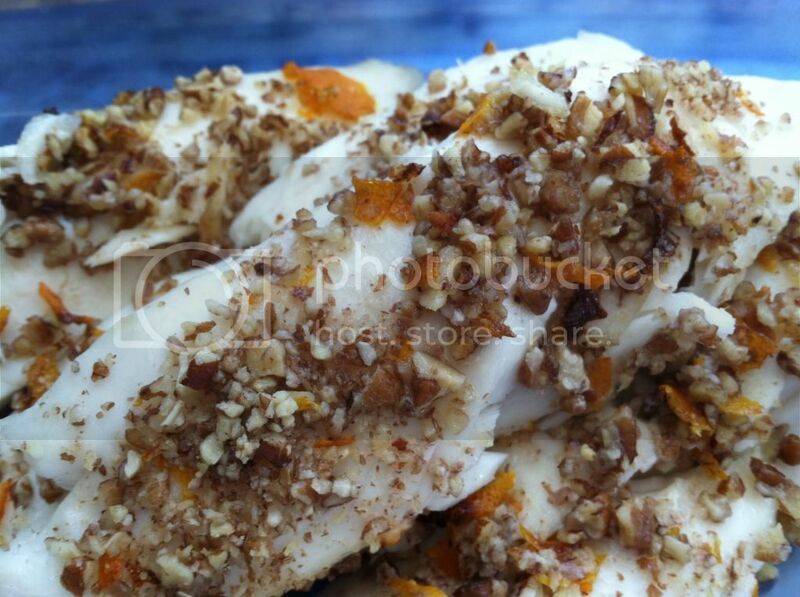 Combine nuts and orange zest in a small mixing bowl. 3. 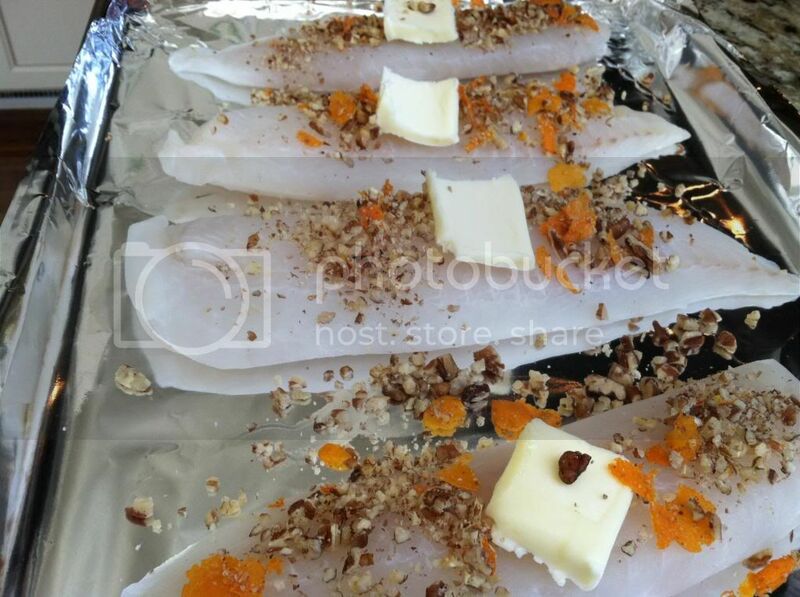 Line a baking sheet with tin foil, placing the fish on the sheet. 4. Season with salt + pepper, then topping evening with butter/oil and nut/zest mixture. 5. Cook approximately 10 minutes or until fish is opaque white throughout. In review: The one thing I continue to love about Paleo cooking is that's so easy! You're cooking with whole, natural ingredients therefore, your cook time is cut in half. It's wonderful for people who don't have all day to doddle around in the kitchen. On another note…I've never zested an orange before. I started out with a fork, but that just resulted in some orange juice (not what the recipe calls for), then I upgraded to a peeler. It turned out pre-tt-y darn well.